May is Mental Health month, and while the nature of this blog is to be uplifting in helping women manage anxious thoughts, I have to deliver the darker truths as well. Someone on the outside may look like they’ve got it all together, but they may still be going through a mild case of depression. And others may experience it more severely. Bi-polar disorder, postpartum and certain chemical makeup can cause depression to happen more frequently or intensely for some. No matter the cause or severity, there’s one common trend for all who suffer from this mental mood disorder. I sure did. At the time, I thought I would never get back to my normal self. Even though I felt hopeless, I was willing to at least try what my counselor had advised me. Staying the course is crucial for all aspects of life. Whether you’re trying to write a book, raise a family, get a promotion, complete a race, or overcome depression, you have to commit and be willing to keep going…even when the words won’t come, the finish line is miles away, or you can’t stop crying. But how do you keep going when you’ve lost hope? We often need help staying the course and seeing the light. This is where The Book of Hope comes in. 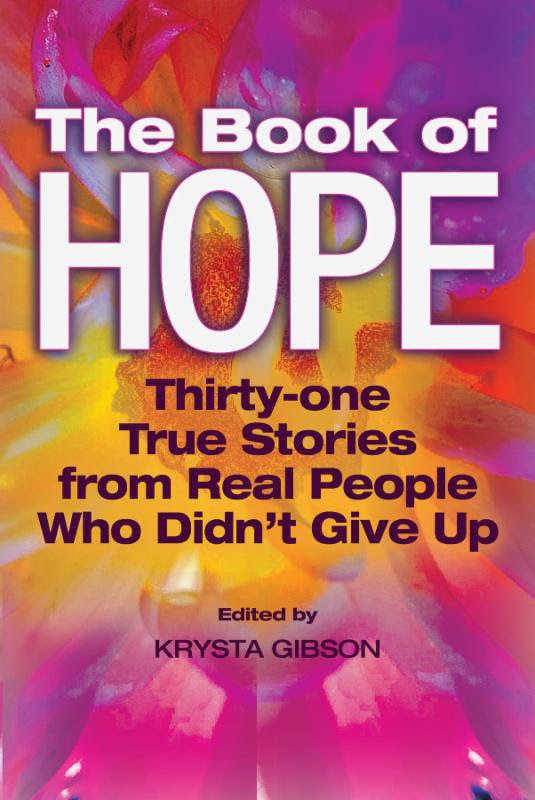 Krysta Gibson, publisher and editor of New Spirit Journal, has compiled a collection of personal stories to make up The Book of Hope: 31 True Stories from Real People Who Didn’t Give Up . I am beyond honored and delighted to have my story, “The Winter Battle,” published in there alongside other warriors who have overcome tremendous feats. Cancer, HIV, job and home losses, family rejection – the tragedies in this book are heart-breaking, the people who overcame them…inspiring. I find that it helps to read what other people have overcome in the sense that their adversities help you realize how blessed you are, how good you do have it. While everyone’s issues and struggles are typically the biggest thing happening to them, you can see how small they are in comparison to how much worse things could be. Our struggles cloud our view of what we do have. Any time we can take a look back and reassess, we can gain better vision of the positives in our lives. 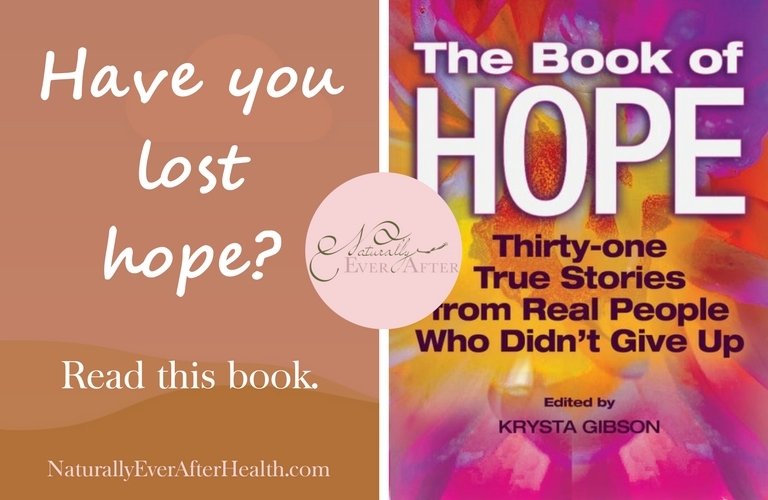 If you or someone you know is going through depression or a tragic time, consider this inspirational collection of true stories. It helps to know you’re not alone, that other people have their own share of dark moments. It helps to see that people in your situation have come out on the other side, especially when you think it’s impossible for you. It helps to see what actions these people took and what things they told themselves to get through. You can get the book on Amazon using the link below, and I’d love to hear how it helps you. Let me know which stories connect with you and what messages resonate with you most. I hope my story on page 129 helps you as well!